Honey is thankful for her favorite dress... Ok... It's my favorite dress, she prefers to be naked. It’s Thanksgiving and I have lots to do today. I have to get ready to eat turkey and other tasty vittles… pass out on the couch with a piece of pie in my hands…. wake up … eat more tasty vittles… have someone roll me home with a plate of leftovers. But before I do all that, I have to write this blog. I am thankful to God for keeping me of sound body & mind (what? I am black, I have to thank God first). I am thankful for the way my family is always there for me when I am down, and then pokes fun at me when I am feeling better. 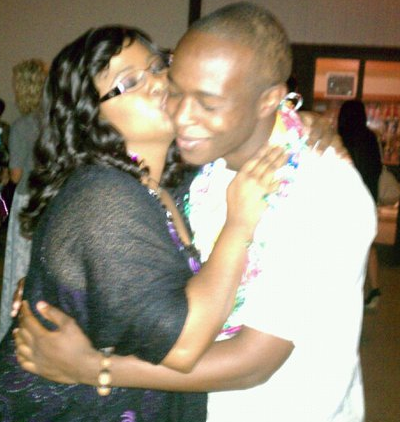 I am thankful for hugs and kisses from my nephew, who text me every day. I am thankful for my nephew who lives 400 miles away, but never fails to text me everyday to see how I am doing. I am thankful for my fabulous friends that make me smile and tell me I look thin. I am thankful that I get to do what I love for a living (PRAISE THE LORD!). I am thankful for my boyfriend who tells me I am pretty, and patiently listens to me ramble on and on about makeup… even though he has no idea what I am talking about. I am thankful for everyone who reads this blog (this means YOU! ), especially those who subscribe (please subscribe!). 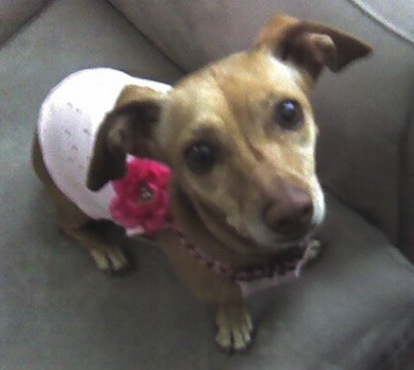 And last but not least, I am thankful for my wonderful little doggy, Honey. She wakes me up every morning at 6am. She is constantly trying to give me stinky breath, doggy kisses… on my mouth…despite the fact that I never let her (no means NO!). She is 10 years old and still provides countless hours of crazy antics that entertain me and my guest. She is a very warm cuddle buddy and never tells any of my secrets. Now, if you will excuse me, I have to find my pants with the elastic waistband to wear to dinner tonight. What are you thankful for? What makes you smile? I am thankful for my family, young and old. This is my 60+ year old mother, with my 15 month old nephew. 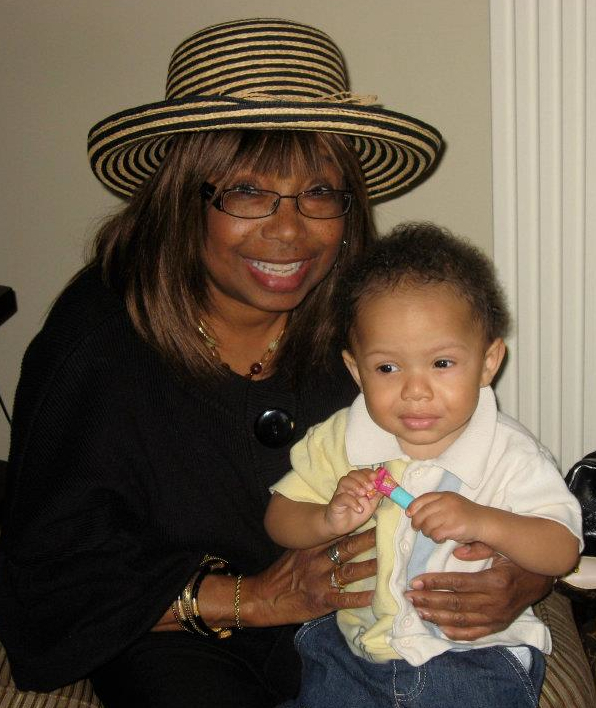 I know my nephew is thinking "This chick looks too young to be my grandma!"